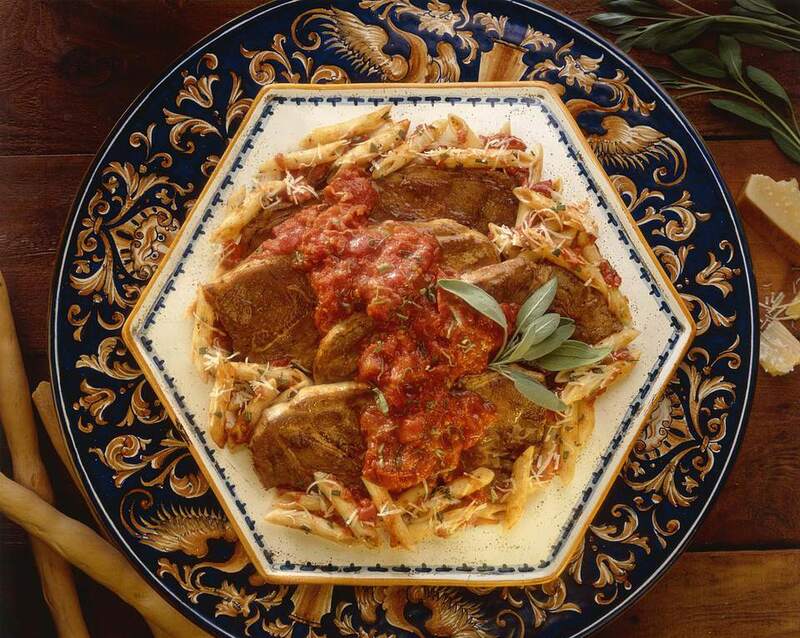 These cheesy Crockpot Italian Pork Chops are so simple to make because the recipe has only five ingredients (six, if you include the pasta, which doesn't cook in the slow cooker).You can add more ingredients if you'd like. Some baby carrots, green beans, or sliced zucchini would all be delicious. Pork doesn't need to be cooked well done anymore. The USDA changed their recommendations for a safe final temperature for pork to 145°F, which is slightly pink on the inside. In a slow cooker, however, pork almost always cooks to well done; the meat stays juicy because of the moist cooking environment. Serve this recipe with a green salad on the side and some garlic toast complete this easy meal. Trim any excess fat from pork chops and sprinkle with salt and pepper. Cook chops in olive oil in a heavy skillet over medium heat until browned, about 3-4 minutes, turning once during cooking. Place the browned chops in a 3-1/2 to 4 quart slow cooker. Add the onions and garlic to the drippings remaining in the pan; cook for 5 minutes, scraping up brown bits, then add to slow cooker. Top everything with the pasta sauce. Cover the crockpot and cook on low for 7 to 9 hours until pork is tender and thoroughly cooked. Remove the pork from the slow cooker and set aside. Stir the cooked and drained pasta into the sauce in the slow cooker. Place the fettuccine and the sauce on a serving platter; top with the chops, then sprinkle with the cheese just before serving.